If you haven’t noticed yet, I am passionate about business and blogging! I truly believe to achieve success you need to not only have a love for what you’re doing, but also make sure you take the time to plan and manage your time accordingly. These planners have been in the back of my mind for a long time and I’m so happy to share them with you! 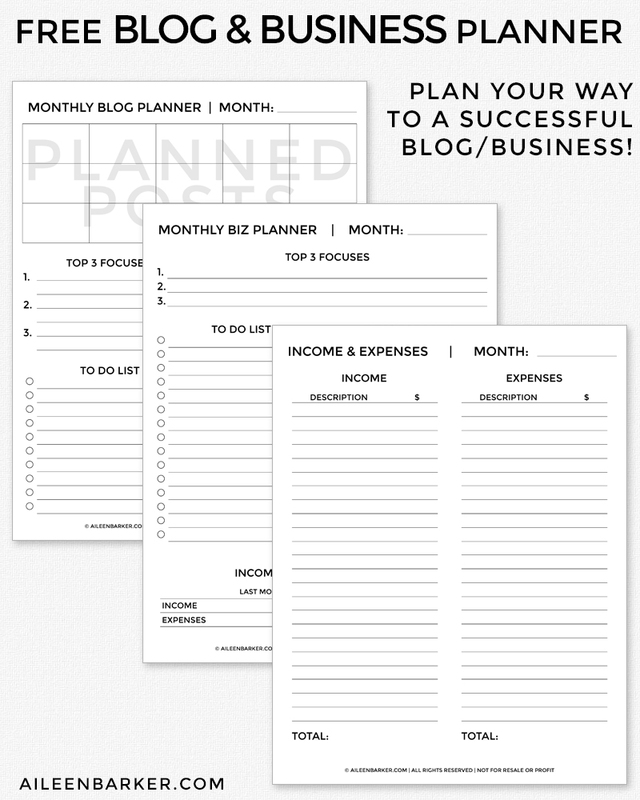 Since not everyone has a business AND a blog, I’ve separated these planners so that you can pick and choose which files to download, print and most importantly: use!